Black can be easy like a Sunday morning....or Monday perhaps. 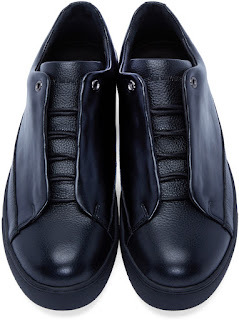 Issey Miyake reemerges confidently into the sneaker game with these Fly Front Sneakers. 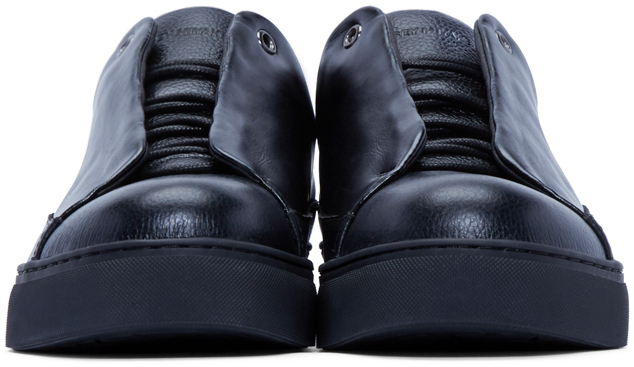 The upper is constructed of a premium buffed black supple leather and features a mock jean fly front detail that minimally covers the lacing holes creating clean-folded edges. 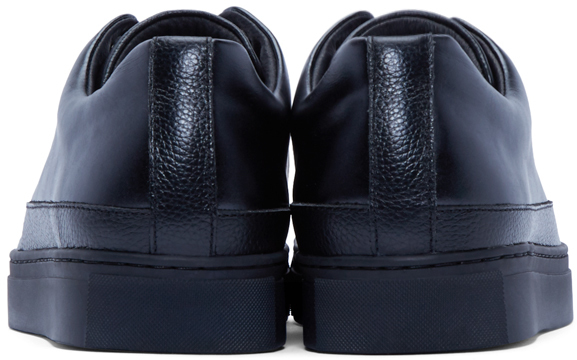 This is a nice shoe for dressing up and dressing down as the minimal details and full black color way makes it quite versatile. Available now at Ssense.com.